When you think about listening to music, do earbuds and mp3′s immediately come to mind? Do you mostly listen to music on the radio while traveling from one place to another? If you can’t remember the last time you saw a live performance, this list is for you! Read on to find out the five most important reasons why live music matters and then make plans to see a concert soon! Music doesn’t come out of a machine, a cloud, or a search engine. People make music, and it takes a lot of energy, dedication, and commitment. If you rarely see live music, it is easy to forget how much work goes into that killer beat, sweet riff, or catchy melody. Go to a show and get close enough to see the passion, energy, and yes, sweat, that goes into making music. You will definitely walk away with a deeper appreciation for what musicians do. Ever wonder how a band gets a particular sound? Do you want to learn how to be a better performer yourself? One of the best ways to learn is by watching other artists to see what they do. You might discover a cool guitar move, a way of engaging a crowd, or a combination of instruments or effects that you never thought of. Spending time with friends or family enjoying live music is a great way to bond. Shared musical experiences will become memories that can last a lifetime. You will always remember the time your best friend took you to see your favorite band or the new artist who surprised you with their talent or their message. It also feels amazing to be completely absorbed in the music and then glance around the room to see you’re surrounded by so many others who feel the same way! When you go to a concert, you are sharing your love. Although it is becoming more and more common for audiences to watch performances through their smartphone cameras, attending a live music event is actually a great opportunity to unplug from your devices and enjoy the present moment. There is so much to see, hear, and feel at a performance, so don’t spend your time glued to a screen. You might find that the time you spend enjoying music in the moment with your cellphone switched off refreshes your mind and gives you a new perspective on life. It has always been hard to make a living as an artist, and it is particularly difficult now that so much music is available for free online. Many musicians now make more money performing than they do from their recordings, so if there is an artist whose work moves you one of the best ways to show your support is to attend their next concert. Especially for independent artists playing in smaller venues, a supportive audience is one of the most wonderful things a musician can see. 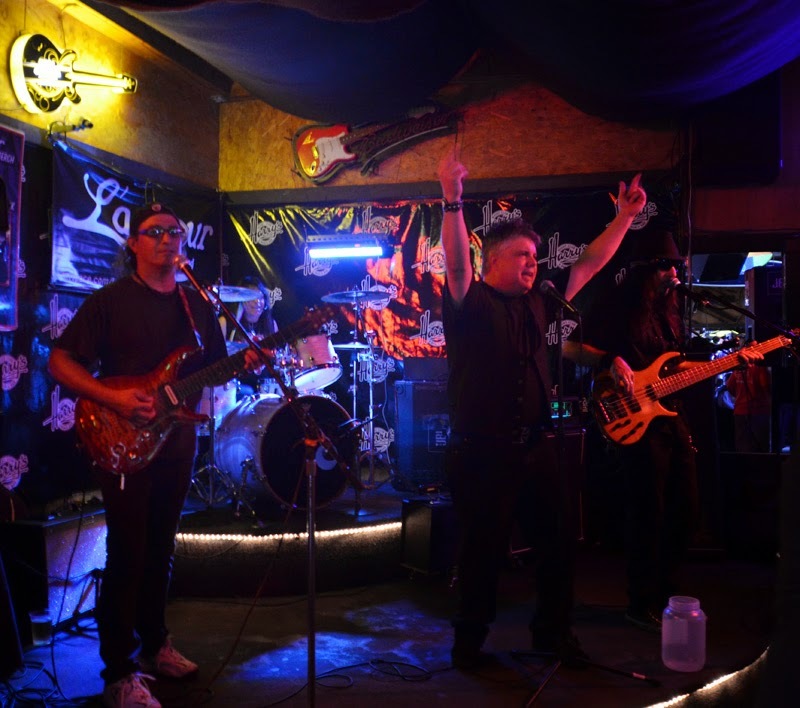 What’s your favorite band that plays at Harry's? Tell us what makes them special to you in the comments!